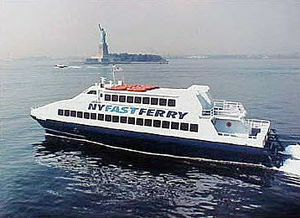 The 46 meter long high speed ferry Bravest ran aground near Middletown, New Jersey. The ferry was en route to Belford, New Jersey when it veered to close to shore during an extremely low tide. The ferry had mooved out of the center of the navigation channel to allow another vessel to go by. No passengers were on board at the time of the grounding. A tugboat was able to pull the vessel free a few hours later. There was no damage and the ferry proceeded back to port. The vessel returned to service on the same day. No injuries or pollution released. 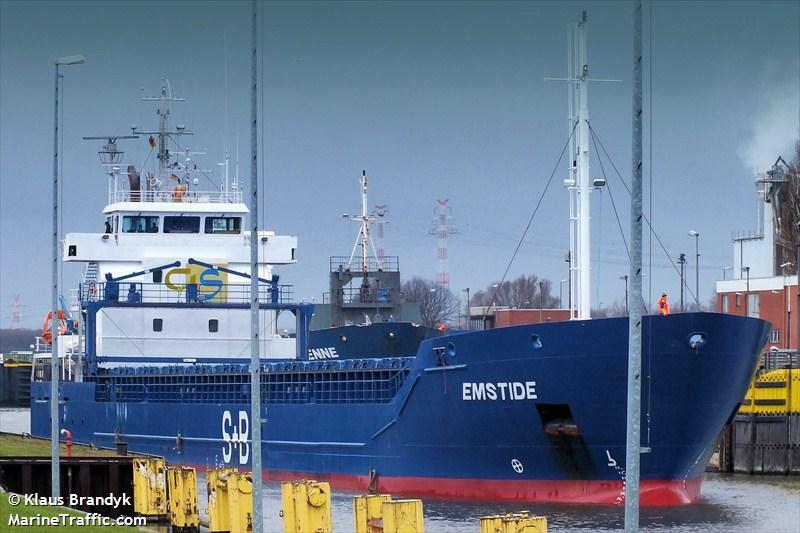 The 99 meter long, 5200 dwt freighter Emstide allided with a quay in the Kiel Canal at Rendsburg, Germany. The Emstide had suffered a steering failure with the hydraulic system on the rudder and struck the quay. The freighter suffered damage resulting in a small hole on the aft section of the hull. The vessel was detained until the crew can make repairs. No reports of injuries or pollution being released. 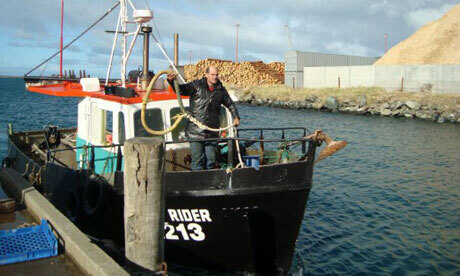 The fishing vessel Easy Rider capsized and sank in the Foveaux Strait near Stewart Island, New Zealand. The vessel with three crew and six passengers was proceeding through the strait in bad weather with heavy rain and four meter swells when it was struck by a rogue wave and capsized. The three men on deck were thrown into the water while the rest were trapped inside the wheelhouse. One man was able to hold onto the vessel and climb onto the overturn hull. For several hours he held on before the Easy Rider sank. Thrown back into the water, he was able to grab a hold of a floating petrol can. When the Easy Rider failed to arrive on Stewart Island at the expected time, the alarm was sent out and rescue boats and helicopters were dispatched to the scene. The sole survivor was found when got the attention of a coast guard vessel some 16 hours since grabbing a hold of the petrol can. He was taken to hospital later and was treated for hypothermia. Reports state the vessel was found resting at 40 meters. Rescuers also recovered four bodies during the search.